Moneglia is a beautiful, quiet, and laid-back beach town in the Italian region of Liguria. Moneglia has a great historic town center with well-preserved medieval structures. 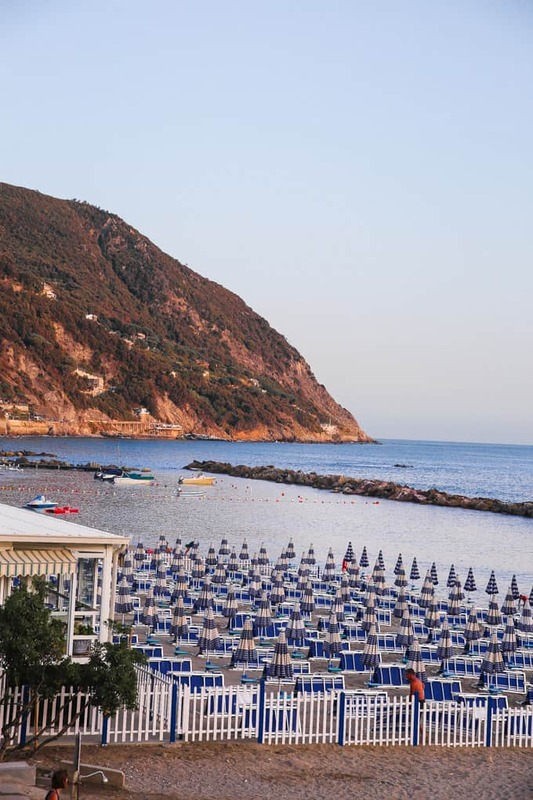 It’s a great place to stay and explore nearby Cinque Terre and Portofino. Moneglia has a typical Mediterranean climate, with hot summers and moderate winters. 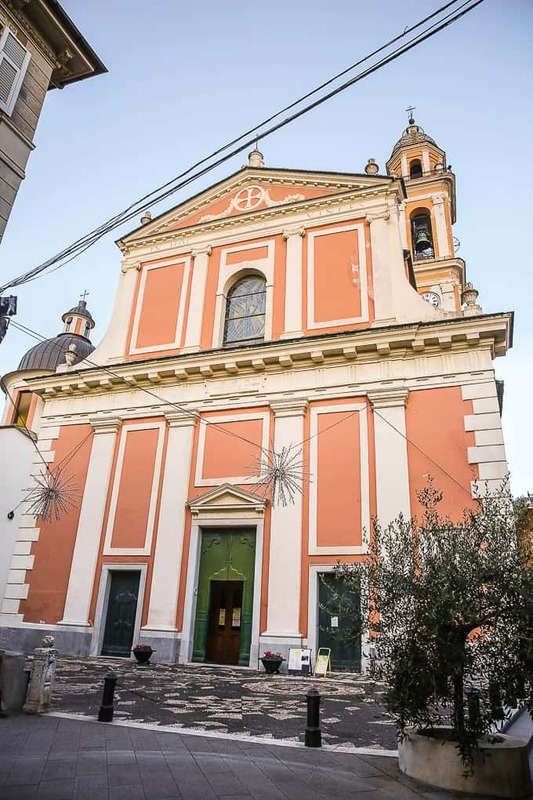 Moneglia is home to a beautiful Church of San Giorgio. Right next to it is a spectacular Hotel Abbadia San Giorgio, which occupies a former monastery built by Franciscan monks. Shops and restaurants. Moneglia is a quiet, family-friendly town with lots of shops and great authentic restaurants. The streets of Moneglia are lined with palm trees, and there are many beautiful alleys shaded by trees. Historic town center. Many structures in Moneglia date back to medieval times and are very well-preserved. If you like history and historic architecture, you’ll really enjoy Moneglia. Church of Santa Croce. This beautiful church is a work of art. Church of San Giorgio. This impressive structure dates back to 1396. 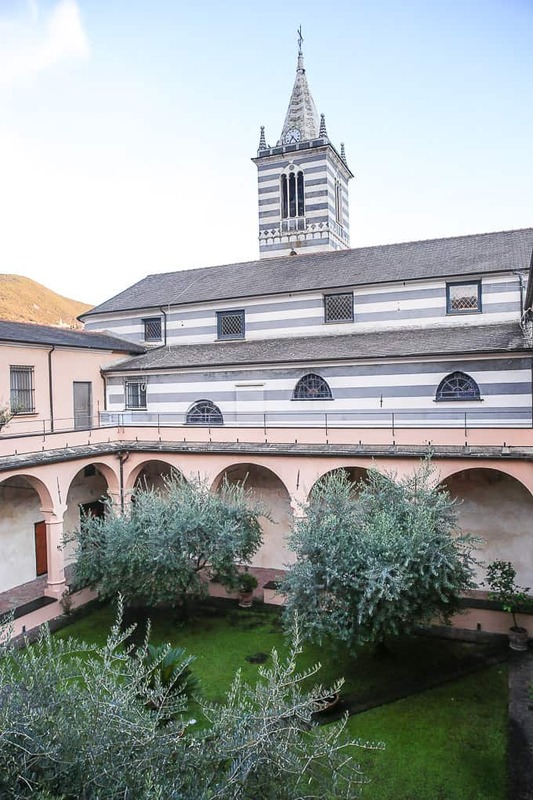 Next to the church is Franciscan Monastery San Giorgio that dates back to 1484. Day trips. The train station is located right in town and it will connect you to the five villages of Cinque Terre. 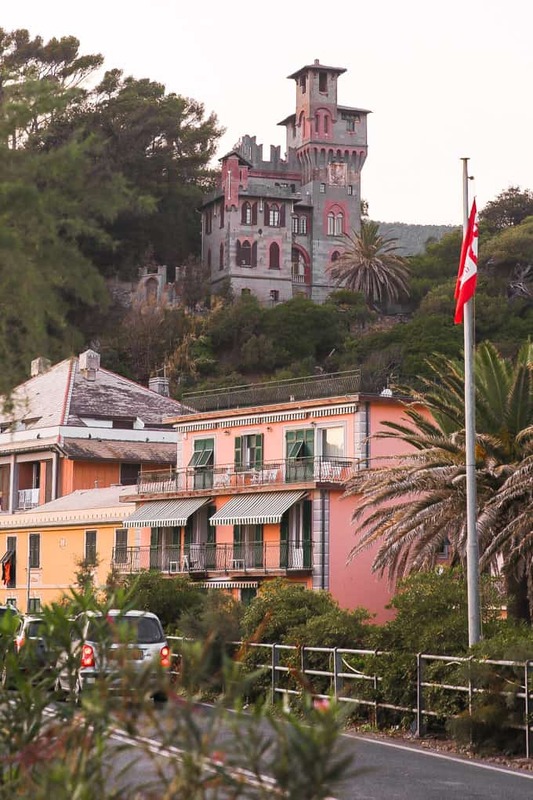 It also takes only 1 hour by car to get from Moneglia to Portofino. Beautiful beach. Moneglia boasts impressive scenery with a great beach. Enjoy a relaxing day at the wonderful beach which is only steps away from the town center. Moneglia is only 37 km away from Cinque Terre. From Moneglia, it will take you only 30 minutes to get to Cinque Terre by train. The five villages of Cinque Terre get really crowded with tourists during the peak tourist season (which is May to September). Moneglia is a great place to stay and to take day trips to Cinque Terre. When I stayed in Moneglia, I really enjoyed the peace and quietness of the area while being in very close proximity to Cinque Terre. 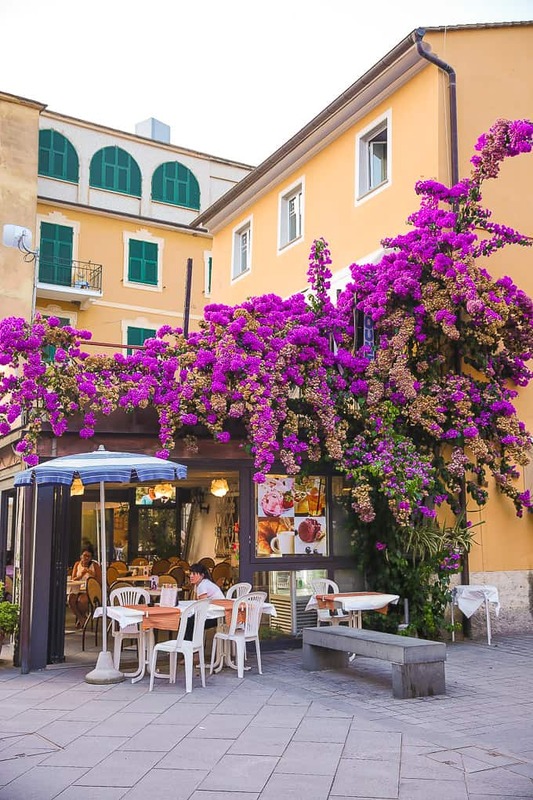 It’s simply wonderful to make a day trip from Moneglia to Cinque Terre by train and then come back to this quiet town to relax without crowds. 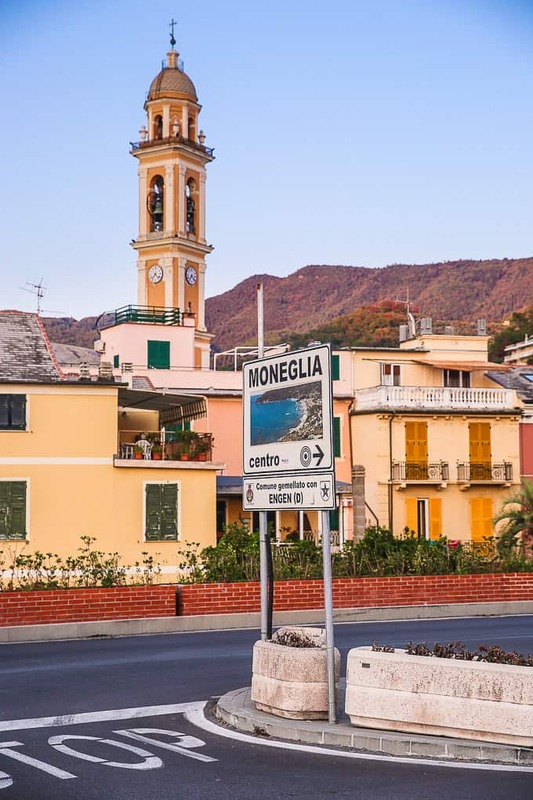 Moneglia is about 45 km away from Portofino. It takes only 1 hour to get from Moneglia to Portofino by car. Staying in Portofino is expensive. 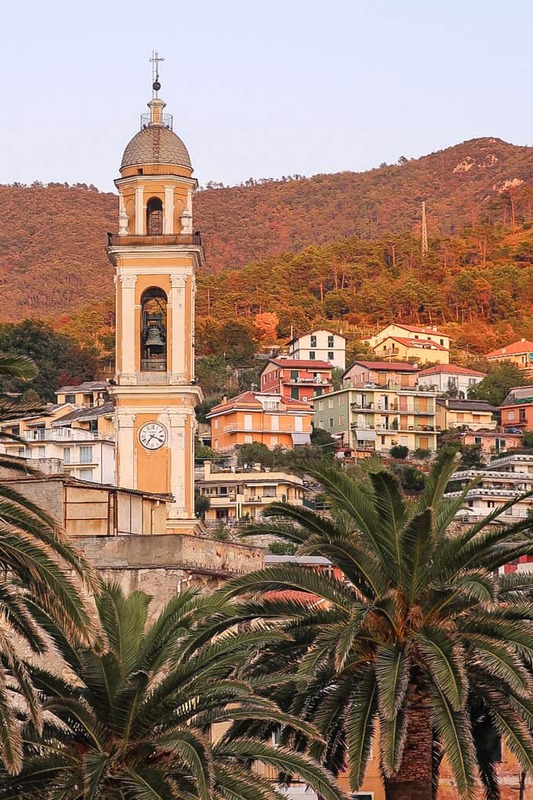 If you want to visit Portofino without staying there, Moneglia is a great choice! When we stayed in Moneglia, we made a day trip to Portofino by car. It took us only 1 hour to get to Portofino. We spent a whole day in Portofino, including having an amazing dinner, and then returned to Moneglia by car for the night. 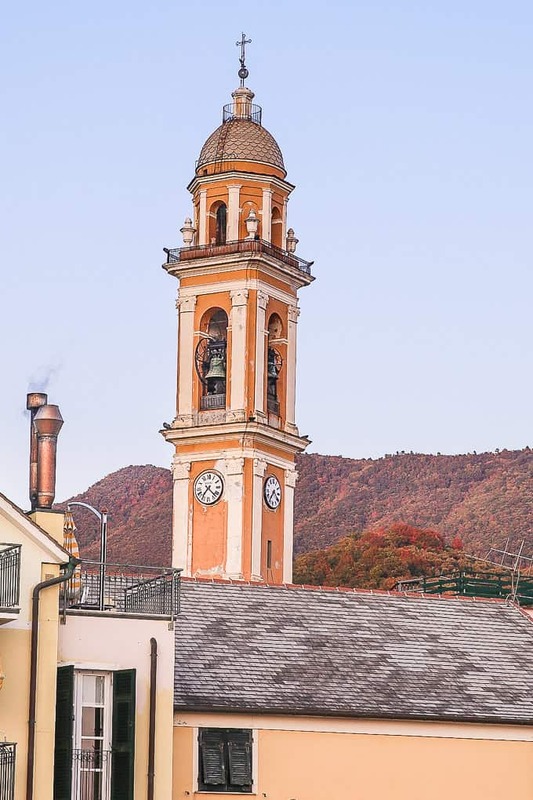 The church of San Giorgio has been built in 1396 by Benedictine monks. Abbadia San Giorgio was added in 1484 by Franciscan friars. A beautiful open gallery runs along the walls of this ancient building. A luxury hotel of the same name (Abbadia San Giorgio) is now part of it. This beautiful church was built approximately around 1100 and most likely even earlier. Moneglia is a quiet and beautiful Italian village with so much to offer! It’s a great place to stay and relax away from the crowds, even during the busy season. The historic town center, beautiful beach, and great restaurants will keep you busy at a relaxed pace. Finally, because of Moneglia’s strategic location, it’s a perfect base for day trips to Cinque Terre and Portofino.